Because I love books, I couldn't settle for just any old paperback copy in healthy supply on the shelves of my local used bookstore. Instead, I sprang for this (surprisingly affordable) edition from Penguin Classics. The grey cloth binding. 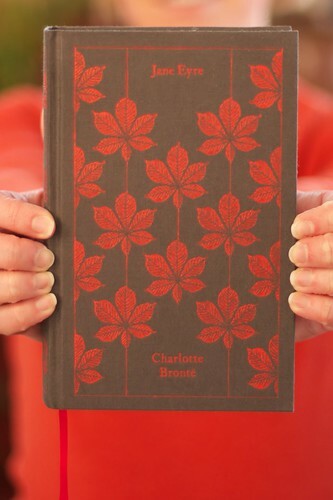 The embossed red leaves. The red ribbon bookmark (which my cat loves to stalk, by the way). I just couldn't resist it. And I'm thoroughly enjoying the story, too. Time to start saving my pennies for more classics in this collection .